We’re living longer, healthier lives with life expectancy nearly doubling during the 20th century according to the National Institute on Aging. Lifestyle and environmental changes along with modern medicine are key factors in this trend. Promote healthy aging in your life with good nutrition, regular exercise, enough sleep and participation in activities you enjoy. And, follow these tips to age well and make the most of your golden years. It’s not a head-to-toe physical, but it does include a health risk assessment, review of your functional abilities and medical history, medications and screening for cognitive impairment, as well as depression. Medicare covers annual wellness visits and you’ll develop a plan to ensure you’re receiving appropriate screenings for heart disease, diabetes, colon and breast cancer, as well as vision, hearing and more. Schedule your annual wellness visit online or call 763-581-CARE. You bring an up-to-date list of medications, including OTC drugs you are taking, every time you go to your doctor’s office. And, keep a list of your current medications with you in case of emergencies. Get all your prescriptions filled at one pharmacy to minimize confusion with refills. Don’t keep old medications you’re no longer using. Dispose of them properly through the drop boxes available at most county and local law enforcement agencies. Are all of my medications still needed? Could a new health condition be caused by a medication I’m currently taking? Ensure your vision is as good as it can be. Age related declines in vision and hearing are so subtle that routine screening is key. Stay physically active on a daily basis to maintain strength, balance and range of motion. Consider taking a class in tai chi or yoga. Remove all fall risks in the house that you’re likely to trip over, including throw rugs, electrical cords and raised door thresholds. Modify your home with grab bars in the shower and hand rails. Take a vitamin D3 Most Minnesotans are vitamin D deficient because of our climate. And, seniors don’t consume a lot of dairy products. Take 800 – 1000 units. If you have kidney disease, talk to your doctor before supplementing. Select medications are classified as high risk for falls. If you’re taking any of the following medications, talk to your doctor about a possible safer alternative. Antihistamines with diphenhydramine (Benadryl , Tylenol PM, Advil PM) clear our kidneys slower as we age and the drug can stay in our system longer. The effects of blurred vision, forgetfulness and drowsiness can linger into the next day or two resulting in a greater risk for falls. A diabetes medication called glyburide (Micronase) increases your risk for falls because of low blood sugars. Seniors should avoid using sleep medications like eszopiclone (Lunesta), zolpidem (Ambien) and zaleplon (Sonata) for more than three months. If you’re having trouble sleeping, have a sleep study performed. 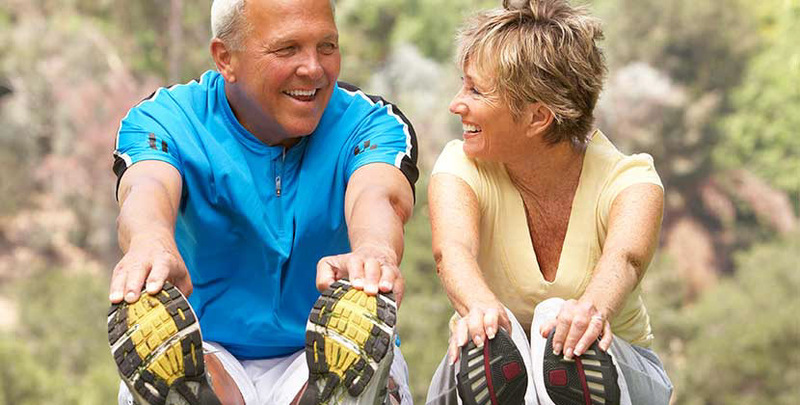 Shingles: Get a shingles vaccination at age 60. One in three people have a lifetime chance of shingles. Pneumonia:Pneumonia (pneumococcal) vaccination is recommended for anyone over 65 years of age. There are two pneumonia vaccines given 12 months apart. Flu: The best way to prevent the flu is by getting a flu vaccine each year. The high-dose vaccine is recommended for people over age 65. Schedule your annual wellness visit online or call 763-581-CARE.